We kindly note about changes of trading hours on Christmas and New Year 2019. Only crypto-pairs can be traded. All other markets are closed. Only Crypto can be traded. All other markets are closed. Normal trading hours for all pairs. Between December 24, 2018 and January 2, 2019 the maximum allowed leverage will be 1:100. On January 2nd the leverage can be increased back to the normal level. STP and Micro account owners can change the leverage via Settings > Profile in My FXOpen area. 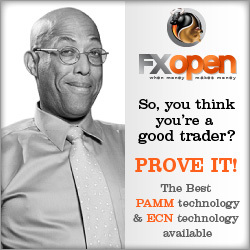 ECN account owners should contact finance@fxopen.com to have their leverage reverted back to normal. For Crypto accounts leverage will remain the same as usual (1:3). Please, consider these changes when planning your trading activities during the festive season. Narrow spreads: from 0 pips on EUR/USD. Min. deposit for Forex Micro accounts: only $1. Min. deposit for STP accounts: only $10. Min. deposit for Crypto accounts the same: only $10. Min. deposit for ECN accounts: only $100. PAMM accounts for professional traders from Nigeria. Free unlimited Forex demo accounts. Margin leverage from 1:1 up to 1:500. On-going weekly & monthly Forex trading contests (tournaments on Demo accounts). Experienced and helpful live support for traders in Nigeria. Any questions? Visit our international forum for professional traders. 2019 © Nigerian Forex Traders. Forex in Singapore - FXOpen broker representative office in Singapore. Forex in Hong Kong.